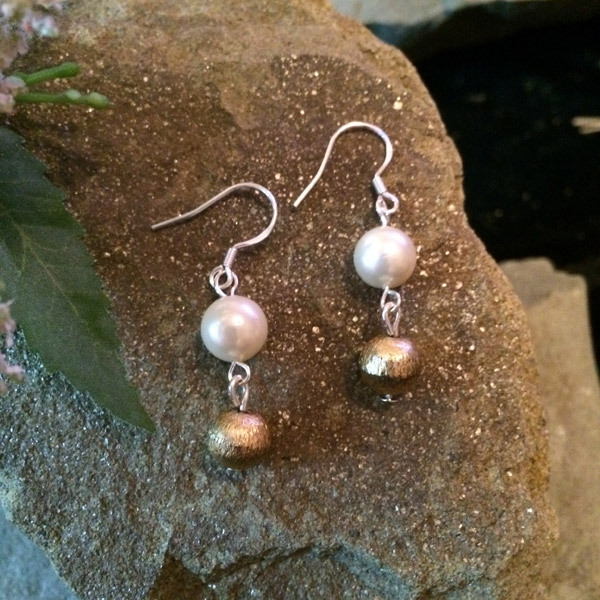 Cultured salt water pearl with gold fill round bead earrings and sterling silver ear hooks. Gemstones may vary in color, size or shape. 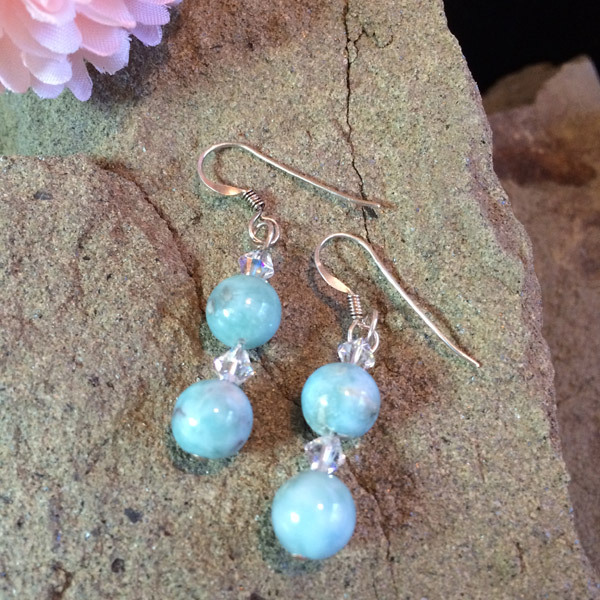 Genuine Larimar beads (6mm) with 4 Swarovski crystal bicone beads. Gemstones may vary in color, size or shape. 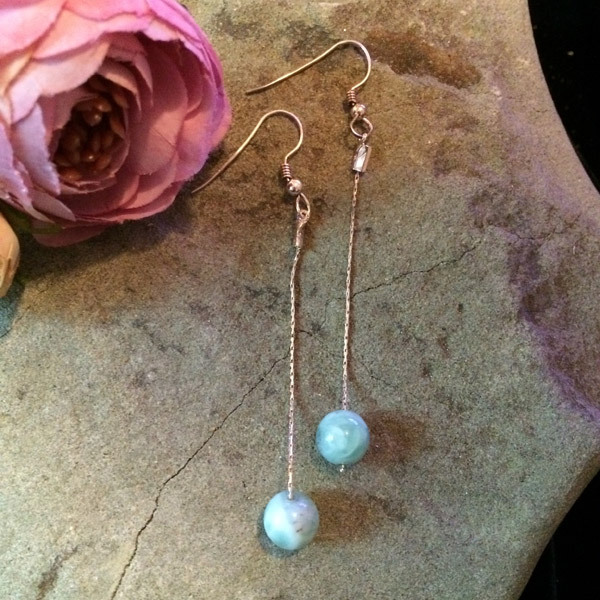 Authentic Larimar from Dominican Republic with sterling silver wire and ear hooks. Gemstones may vary in color, size or shape. 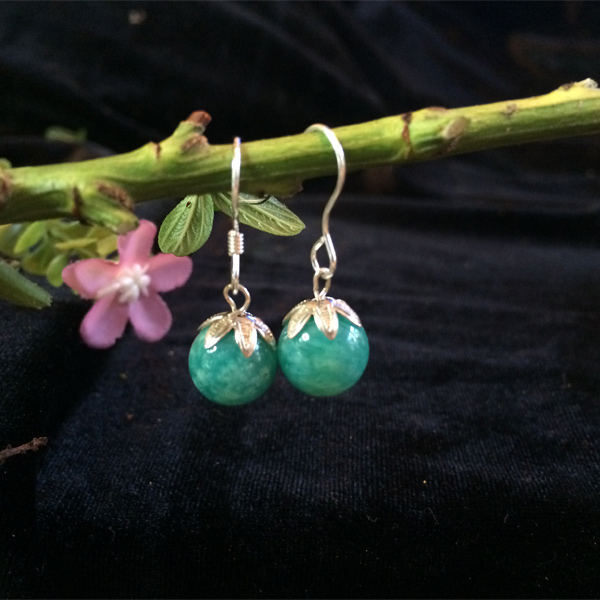 Green round Aventurine gemstone earrings with silver leaf caps and sterling silver ear hooks. Gemstones may vary in color, size or shape. 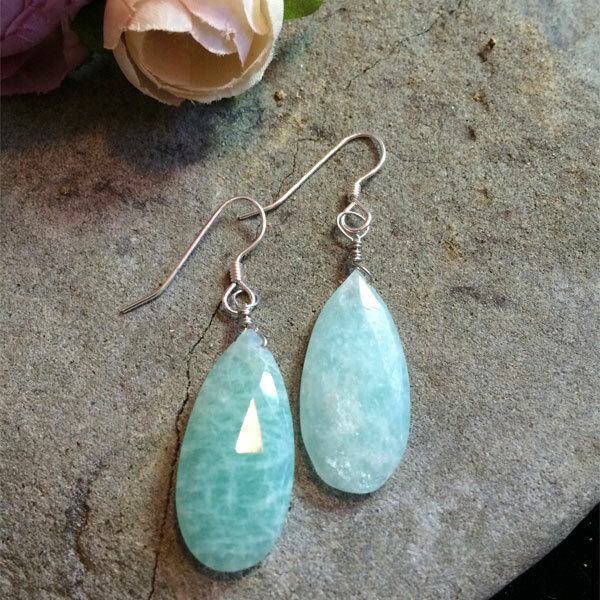 Pale green Chalcedony teardrop earrings with sterling silver hooks. Gemstones may vary in color, size or shape.